Addiction is a disease that affects everyone connected, from family members to co-workers, not just the addict. The stress and anxiety can get bad enough to cause you physical symptoms and cause rifts among your family. Encouraging your loved one to seek help and supporting them through recovery can weigh just as heavily on you and your family because of the emotionally charged situations that so often arise. If you’ve noticed an increase in fights between family members or even picked up on how you feel constantly stressed and anxious because you want to help, you and your family may benefit from family counseling for friends, significant others, and families of addicts. It’s only natural that you want to help your loved one who is battling addiction as much as possible so they can get on and stay on the road to recovery. In order to most effectively help the addict in your life, you first need to learn how to help yourself break from the potentially harmful behaviors many people fall into because of addiction. Family counseling for anyone living with or connected to an addict is designed to teach the tools you as families of addicts need to help yourselves break out of the cycle of addiction. Then, once you have learned how to apply those tools to your own life, you will be better equipped to help your loved one get on the path to addiction recovery without personal detriment. 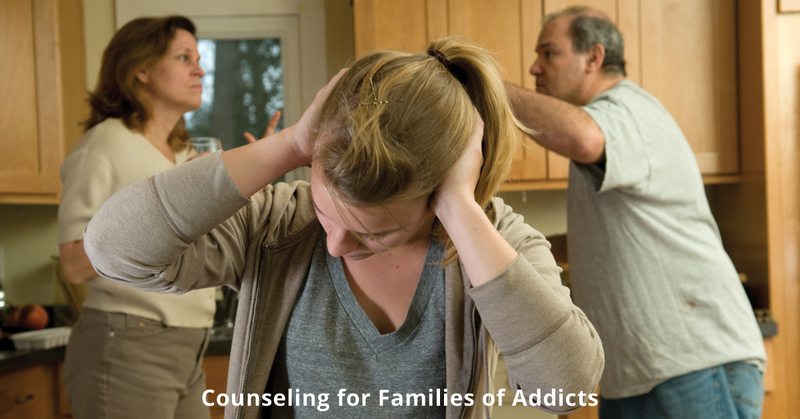 Counseling for families of addicts helps you improve your communication styles as a family unit, addresses unhealthy behaviors like codependence, teaches you how to manage and improve your mental health, and so much more. After learning the tools taught during family counseling, you will be better equipped to help your loved one along the road of addiction recovery without hurting yourself. If you are the family, friend, significant other, or even co-worker of an addict, you could benefit from family counseling. Help yourself so you can better help your loved one break the cycle of addiction and stay on the road to recovery! See the family counseling options offered with Family Recovery Solutions of Florida to get started today!